In our last post, we talked about ways to restore order to your garage so that you can get your vehicle back inside before the season turns. The long and short of it was purge what you don’t need; organize what you do. Following that post, a reader dropped us a note asking how to dispose of leftover paint responsibly. Here’s an easy solution. Remember the saying “one person’s trash is another person’s treasure?” Well, last January Rona launched a new initiative under Ontario’s Municipal Hazardous or Special Waste Program. Under that program, you can now drop-off old paint at Rona stores across Ontario. They recondition about 80 percent of what they collect. 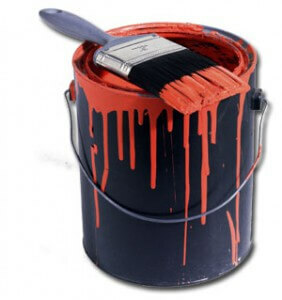 Who knows whose walls your old paint will turn up on, but we think you’ll agree that anywhere is better than a landfill.